Today CEI-IUL welcomed the partner institutions of the project E(U)LECTIONS’19: THINK, DECIDE, CHANGE!, financed by the European Commission under the aegis of the programme Europe for Citizens, for a kick-off meeting to set common interests and define outputs. In the 2014 elections for the European Parliament, only 42.61% of the Europeans voted, the lowest rate ever registered since the 1979 election. In fact, throughout the years the participation rates have been decreasing, despite the multiple efforts of the EU institutions to galvanize the European citizens to feel more engaged in European affairs. In Portugal only 33,67%, voted while in the Netherlands 37,32% participated. Italy has the highest participation rate of these countries: 57,22% but still is the lowest percentage since 1979 (85,75%). These 3 member states clearly illustrate the lack of participation, detachment and distrust towards the European elections and explain why our project will be focused in a clear message: think, decide, change! 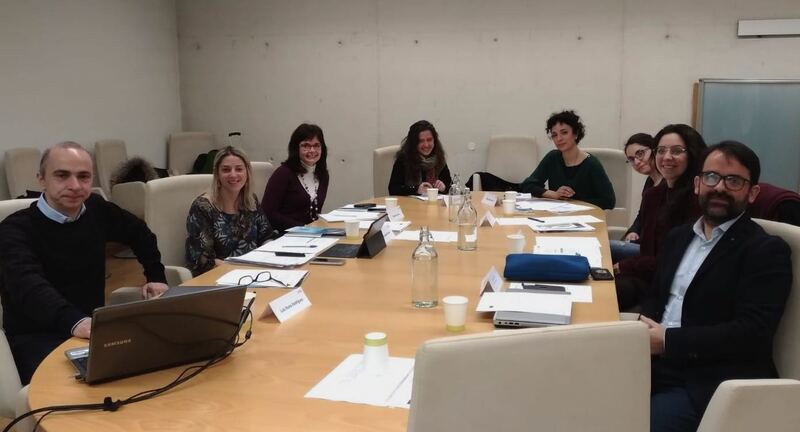 The “E(U)lections’19” project will be promoted by CEI-IUL, based in Lisbon, in partnership with the European Association of Young Educators (Portugal), Stichting CAAT Projects (The Netherlands) and Fondazione Flaminia (Italy). It aims to raise awareness and encourage young Europeans (aged 18-25) to an active European citizenship and to counter abstention in the European elections. Several activities based in non-formal education methods will be developed to stimulate the involvement of young people in the major European themes and to encourage them to express their opinion by exercising their right to vote in the forthcoming elections to the European Parliament. In short, to THINK (why vote in the European elections? Who represents me in the European Parliament? ), DECIDE (why it is important to vote?) and CHANGE (How can I exercise my European citizenship?). We hope to involve around 800 participants directly but through social media the number will exceed any calculation that we could predict. The main outcomes of this project will be structured around decentralised training/campaign sessions and policy-oriented reports through the duration of the project, but with expected follow up activities after September 2019.